Grapes (Vitis vinifera) are a delicious fruit that people enjoy eating from time to time. They are a common food in many households throughout the world. Small but mighty, grapes have been used for thousands of years nutritionally, but what many may not know is that grapes can be a very effective if used medicinally. It is well documented in literature that Egyptians ate grapes and several ancient Greek philosophers praised the healing power of grapes, especially in the form of wine. European folklore states that healers made an ointment from the sap of grapevines to treat skin and eye diseases. Grape leaves were used to stop bleeding, inflammation, and pain. Unripe grapes were used to treat sore throats. Dried grapes (raisins) were used for constipation and other gastrointestinal ailments. Round, ripe, sweet grapes were used to treat a range of health problems including cholera, smallpox, nausea, kidney and liver diseases. Today, the attention is being focused on seeds from grapes. Grape seeds are rich in powerful antioxidants and natural plant compounds called oligomeric proanthocyanidin complexes (OPCs). OPCs are well known for their antioxidant activity, which means grape seeds may help to destroy free radicals in your body. This destruction of free radicals can help you avoid premature aging and certain chronic diseases. OPCs may even play a role in cancer prevention. Research published in the journal, Prostate, found OPCs helped stop the spread of prostate cancer cells and also caused apoptosis (cell death) among prostate cancer cells. Grape seed extract also contains high levels of compounds, procyanidin dimers, that act as aromatase inhibitors. 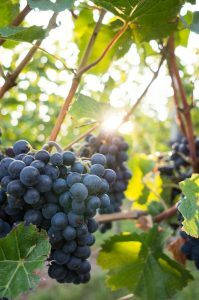 This is likely another way grape seeds may help prevent and treat cancer, specifically hormone-dependent breast cancer. Aromatase, an enzyme, converts androgen to estrogen and is expressed at higher levels in breast cancer tissues than normal tissues. Many types of breast cancer are fueled by estrogen, which is why some chemotherapy drugs work by inhibiting the activity of aromatase. Grape seed extract may exert similar effects naturally. As more research that emerges on grape seed extract, the more it becomes clear that they have wide-reaching health benefits.